The past few weeks I have been working on a very pink animal and today I can publish the pattern. Meet Gus, my crochet piglet! Pigs are super intelligent and social animals and I’ve been thinking a while of designing a crochet pattern for a piglet. And although I am more fond of the wilder looking brown pig, I decided to make the domestic pink version, as an ode to this special but unrated animal. The reason I postponed making an amigurumi piglet has something to do with my sadness about how pigs are treated by humans. I knew that if I would do the research I normally love doing, I would stumble upon many pictures I prefer not to see. But, I also saw so many lovely and delightful pictures. Thankfully, more and more farmers realise you cannot treat animals like products and biological farms where the pigs can go outside are not as rare as they were in the past. The pictures I saw of happy pigs outside, rolling in the mud or even jumping in pools, really made me smile and it felt good making this crochet version. 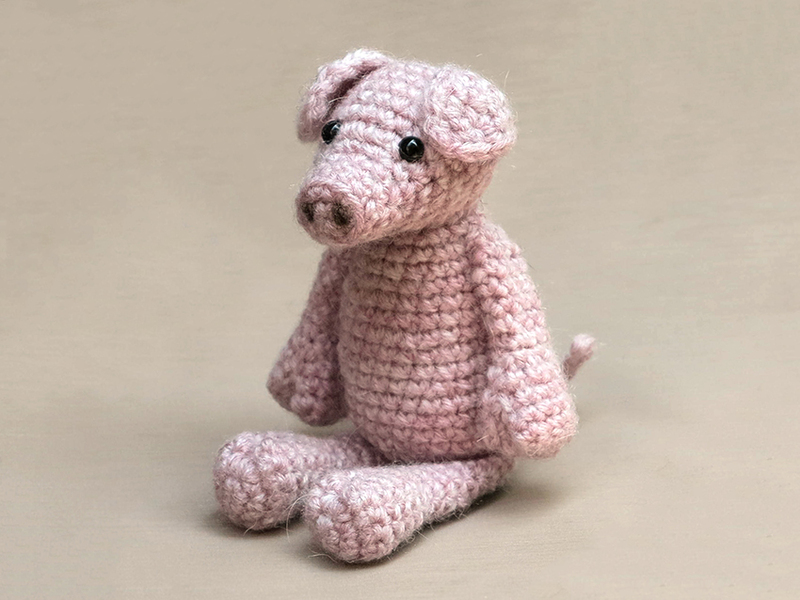 I wasn’t able to make this piglet in my favourite Lètt Lopi yarn (no good pink), so I found an alternative. I’ve used Phildar Phil Aventure to make Gus. It is an alpaca acrylic blend, which gives a smooth but slightly fuzzy texture. To add enough realisme to this pattern, I decided to go for split-hoofed paws. It was a bit of a kerfuffle to find out how to make them, but in the end it was very striking looking and easy to make. I am very happy with this pink piglet amigurumi and I think I will make him a boarlet friend someday soon. Here are some more pictures of this fuzzy crochet pig and below it you can find info about and links to buy the pattern. This fuzzy and cute piglet is made with Phildar phil aventure, a worsted weight wool blend. Gus is 13 cm / 5 inch when sitting. The pattern is easy to crochet and you can make this doll in a day. All the additional information you need to know about this pattern you can find in the shop listings. You can buy this pattern in my shop at Craftsy and in my shop at Ravelry or order it here. 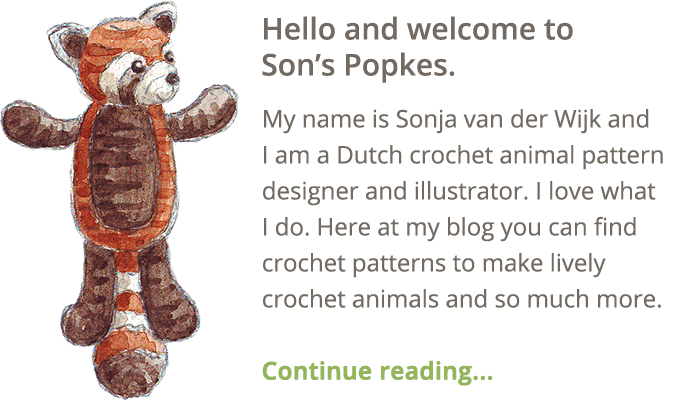 It contains a clear and colour coded description of how to crochet and assemble the piglet, with example pictures at the bottom to help you get everything right. 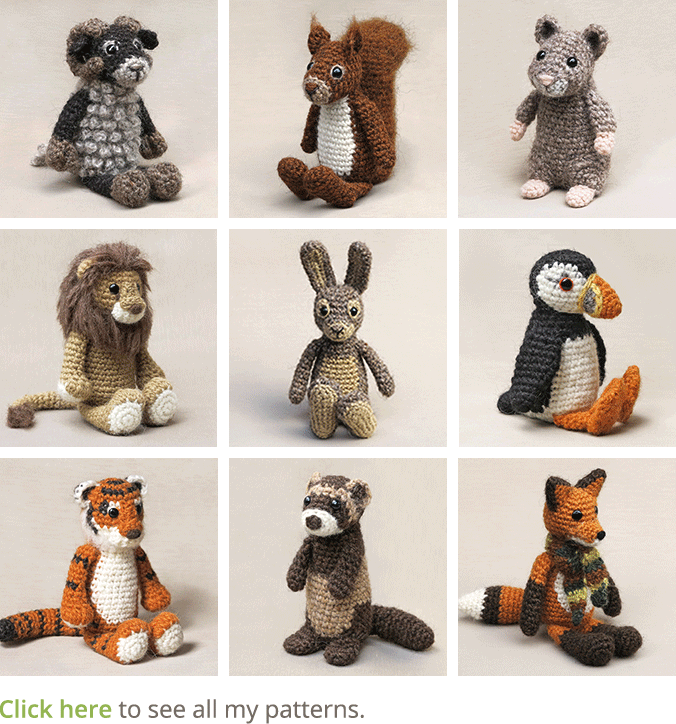 In the pattern you can also find what materials you need, the yarn colour numbers, in short, everything you need to know to make your own special friend. 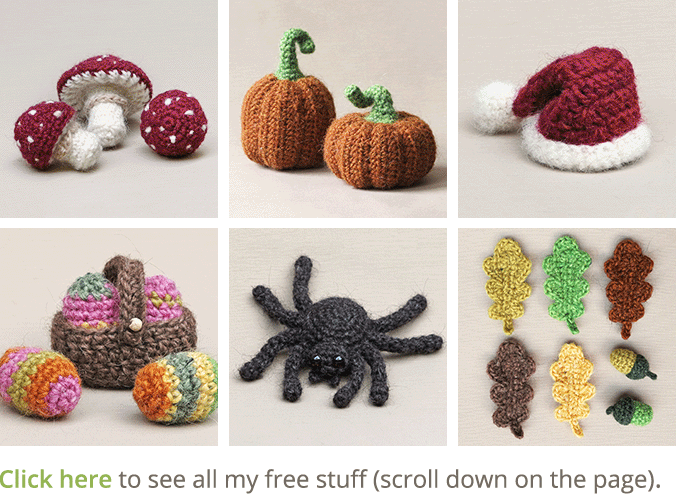 This pattern has a one dollar release discount till Thursday the 25th of May. Oh Sonja, Gus is just adorable. i love pigs, well in fact there isn’t an animal or bird i don’t love. Hi Moira, that’s lovely to hear! I hope that in the meantime you are having fun making your piglet.